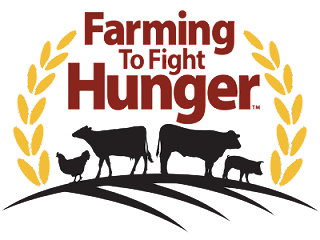 This is a sponsored post written by me on behalf of Farming To Fight Hunger. All opinions are my own. 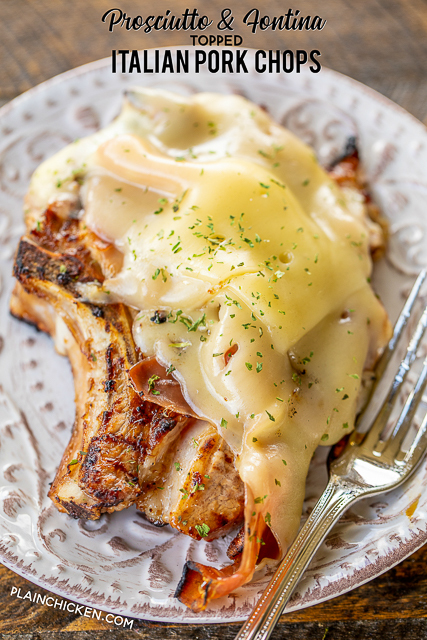 Today's recipe is for these INCREDIBLE Prosciutto & Fontina Topped Italian Pork Chops. They are some of the best pork chops we've ever made. BUT before I get to the recipe, I want to tell you all about my recent trip to Iowa! Have you ever wondered where pigs come from? How they are raised? I know a lot of people are getting more familiar with where their food comes from and what goes in the food they eat. I know I am. 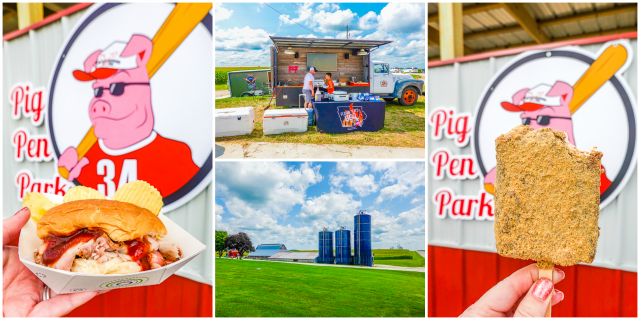 That is why I jumped at the opportunity to go to Iowa to learn about how pork is raised in the US and how farmers are working to fight hunger in America. This was my first time in Iowa. The weather the weekend I was there was AMAZING! It was in the 70s with low humidity. I never wanted to leave!! 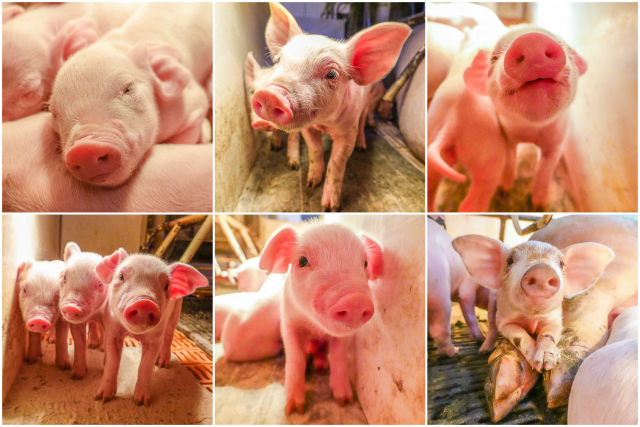 We learned all about pig farming from The Brenneman's at Brenneman Pork in Washington, Iowa. They were incredibly open and transparent about the whole process. They told how they started the business and how it has grown. The efficiencies they have developed. There were no questions that were off limits. It was very interesting to see how the business changed over the years. 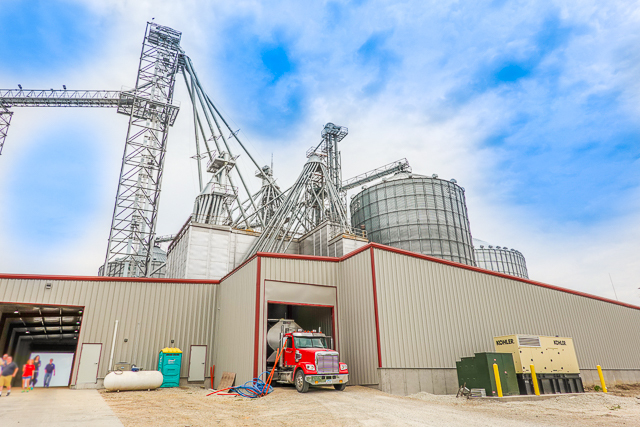 After hearing about the business, we stopped by the Feed Mill. We got to see a giant truck get loaded with feed. The Brenneman's use several scientist to help them develop the right mix for the pigs feed. 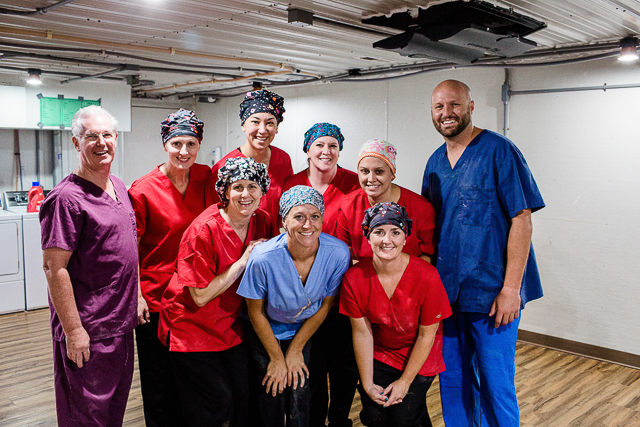 They put so much time and care into making sure the pigs are given all the right nutrients. After lunch, we spent the day touring the "maternity ward" where the pigs are bred and the baby pigs are born. To keep the outside contaminants to a minimum inside the barn, we had to shower before going inside. Y'ALL! I got naked in a pig barn! LOL! The shower wasn't near as scary as I had envisioned. It was just like taking a shower at camp. (I did that once and hated it.) Once we were showered and in our scrubs, we got to see the pigs!!! I was amazed at the care and precautions they took in the barn. They get their supply shipments in bulk. They don't like to leave the doors open too long because they filter the air in the barns. They also have someone clean every item with a Lysol wipe before storing it in the barn. Their goal is to keep the animals as safe and free from harm. This barn might be cleaner than my house! LOL!! 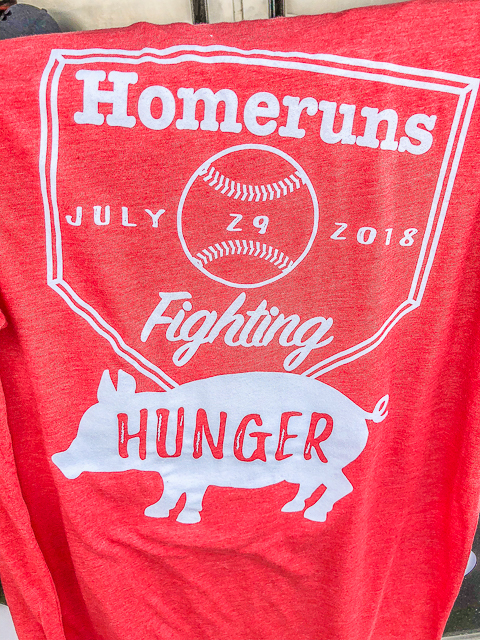 On the last day of the trip, The Brenneman's hosted the Inaugural Home Runs Fighting Hunger Softball Tournament to raise money for the local food bank. The tournament was held at Pig Pen Park on the Brenneman farm. The Brenneman's basically built a Field of Dreams behind their houses. It was incredible! 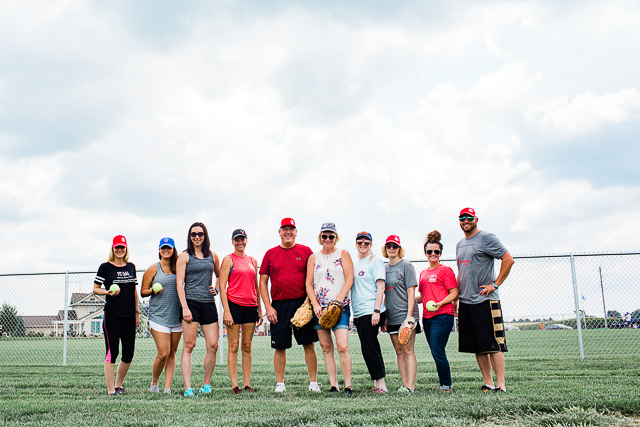 The softball tournament felt like a family reunion, and I was thrilled to be part of the family for the day! The Brenneman's were so welcoming and their hospitality was second to none. I got so caught up in the pork fun that I almost decided to change my blog name to Plain Bacon! LOL! There were so many great people from the pork community at the tournament. The tournament also had the best food I ate in Iowa courtesy of Flaming Lips BBQ. Flaming Lips served up the most delicious pork loin sandwiches. The pork was from the Brenneman Pork Farm. Talk about Farm To Table! WOW! We also had the BEST ice cream bar EVER! I wish I had a dozen one right now! Overall, the tournament raised enough money to provide over 5,700 meals for those in need in the community. 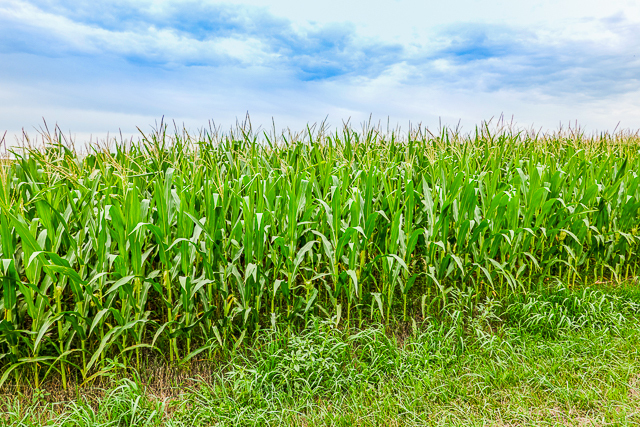 Hunger is a real issue in our country and Farming To Fight Hunger is working to bring awareness to this issue and work with modern agriculture to tackle the problem. After the tournament, Flaming Lips BBQ served up pork chops for everyone. I had an early afternoon flight home, so I missed the grilled pork chops. Not to worry! Chicken Legs and I fired up the grill for our very own pork chops when I got home. 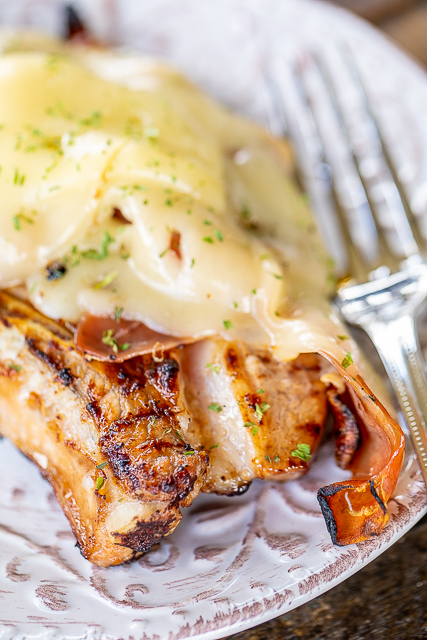 We made these delicious Prosciutto & Fontina Topped Italian Pork Chops. Pork topped with more pork and cheese. How can these be bad?!?!? They were honestly better than any restaurant! I wonder if I met the pork chops on my tour at Brenneman Pork? Whisk together Italian dressing and Worcestershire sauce. Place pork chops in a plastic resealable bag. Pour marinade over pork chops. Seal bag and refrigerate at least one hour or up to overnight. Remove pork chops from marinade place on grill. During the last 2 or 3 minutes of cooking, top each pork chops with prosciutto and 2 slices of Fontina cheese. Close grill and let cook until cheese has melted. 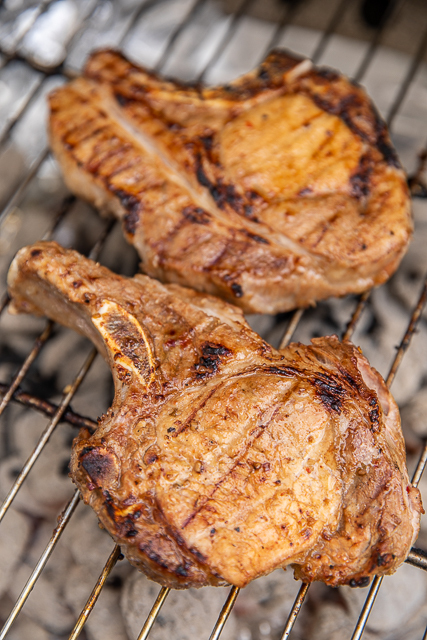 Grill until pork chops reach an internal temperature of 145ºF. A BIG thank you to Farming To Fight Hunger and Brenneman Pork for inviting me on this trip. I learned SO much about pork and farming. I have a new appreciation for where the pork chops on my plate come from! Around the world, someone dies of hunger every 3.6 seconds. 41 million people struggle with hunger in the United States, including 13 million children. In 2016, 3 million households were unable at times during the year to provide adequate, nutritious food for their children. Children struggling with hunger are 31% more likely to be hospitalized at some point during their childhood. By third grade, children who had been food insecure in kindergarten saw a 13% drop in their reading & math test scores compared to food-secure peers. Children facing hunger are twice as likely to repeat a grade in elementary school. Can i also cook in oven or fry? Sure! Just make sure they are 145ºF internal temperature. what thickness chop do you like? Looks so tasty.